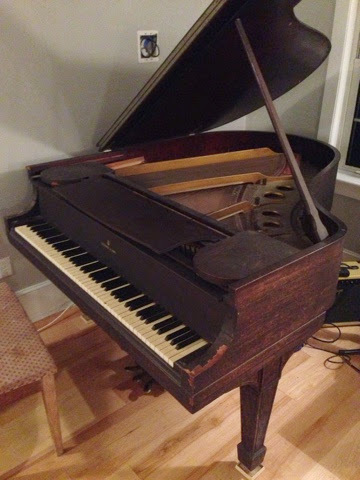 Got our beautiful "inherited" piano tuned today. Sounds great! Well, apart from a couple of broken strings... Hopefully those get fixed next week.